Join me as I chat with Steve Kenson from Green Ronin Publishing and lead designer of The Expanse the Roleplaying Game! CLICK HERE! I’ll admit it - I have an Kickstarter problem. I’m on the platform several times a day checking for new RPG games to back and watching the comments and updates on the projects I’ve already backed. I love the community and seeing the creativity of all the game designers plus I’ve met some awesome people like Doug Shute of Victory Condition Gaming and Alan Bahr of Gallant Knight Games. 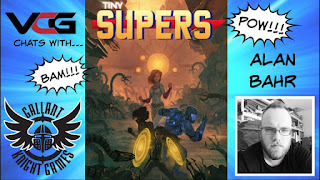 There are some seriously talented and creative people breathing life into worlds and game frameworks on Kickstarter. If you are a Kickstarter and RPG game addict like me who wants to get more involved in the success of your backed projects, or a game designer who wants to get his or her table top RPG or board game funded, there is a tool that you should be utilizing - Kicktraq. If you have never heard of Kicktraq - despair not! In this series of posts, I’ll cover the basics of Kicktraq including how to use it to both find great projects to back and how to help boost your backed projects. If you are a RPG game designer, Kicktraq is definitely a tool that you want to do a little research and leverage for successful campaigns. Now let’s dig into Kicktraq and discover the goodies. 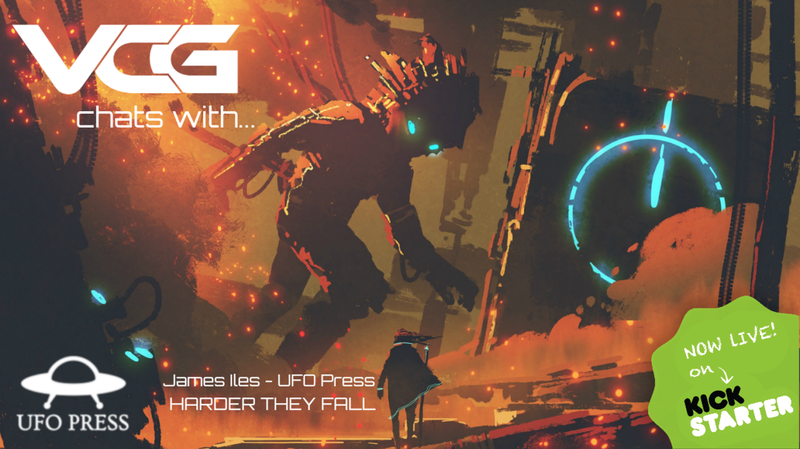 There are a few ways to find your backed RPG projects on the Kicktraq website. First, you can type in the name of the project in the upper left hand search page. The field will remember past searches if you choose to use this in the future. You can also select the link for the Kicktraq Hotlist. I cover the Hotlist in detail in a separate article. The Hot List is of course, only a small portion of the main Kicktraq page - in another article in the series we’ll look at the other details main page menu. The Kicktraq project page for a Kickstarter project has several areas that are useful for tracking your created or backed project. The pages is actually split into thirds - you have the project summary, the dynamic charts and then the news section. In this article we’ll cover the upper third of the project page. The project summary is the upper third of the Kicktraq project page. Let’s go over each of the separate sections of this upper third. At the top of the upper third is a header. This contains the title of the project on the left and a countdown to the end of the project’s Kickstarter campaign on the right. On the far left of the page in this section you have a thumbnail of the project. This is taken from the picture - or the first frame of a the video - on the campaign tab of the Kickstarter project page. Directly underneath this picture are links to the project and for social sharing. We’ll cover the use of these links in a future article on how project creators can use these buttons to increase the visibility of their project and engagement of their backer community. The middle column of the the top third of the Kicktraq project page contains a bunch of information starting off with a short description of the project - this is actually the subtitle of the project as it appears on the actual Kickstarter page. Below that in a gray band is the category of the project - also taken from it’s listed category in Kickstarter. The creators of the project - this is a link to the creator’s bio on Kickstarter. The final piece of the middle column is a place for project creators to add tags to the project. As the Kicktraq staff mentions in an article on tagging, creators should take some time to add tags to their projects to increase visibility in searches. To add tags click the “+Suggest” button to get a dialog to look for approved tags. If you don’t see a tag that fits your project you can click on the link just below the suggestion field to submit a tag for Kicktraq’s consideration. The final area of the top third is an a glance summary of the current funding as expressed in money and percentage of goal as well as the general trend of what the project may get for funding by the end of the campaign. The general trend is also expressed as a monetary amount and percentage of goal. We will cover projections and trends in the next article on the middle third of the Kicktraq project page. Until then - onward and upward with your Kickstarter campaigns! Michael Harrington is a cyber security course designer and instructor by trade and an self-diagnosed RPG addict. He first started playing RPGS with the original TSR Dungeons and Dragons back in elementary school. He does freelance writing on the side and is the author of a book on using Google Earth in digital forensics. His Twitter account is @voidmarked and he’s working on a new website - www.rpgbruh.com. 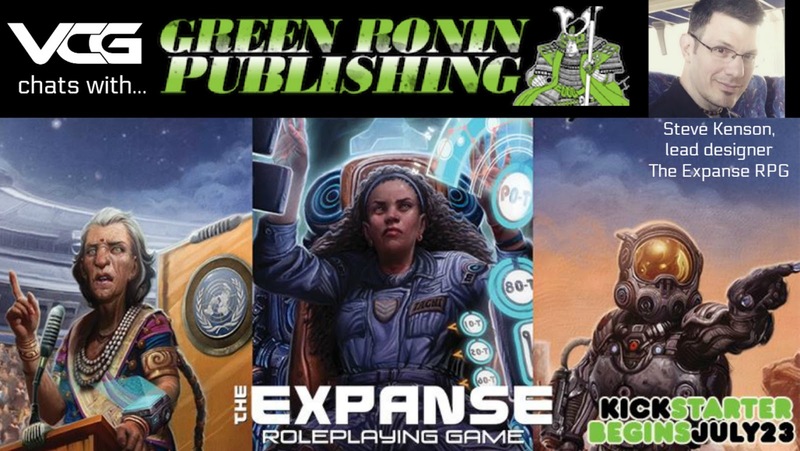 If you want to quickly look at what the hotness is in tabletop RPG games on Kickstarter you need look no further than the Hot List. The Hot List is where any obsessed TTRPG – Table Top Role Playing Game – fan can find the freshest, newest and hottest games being produced. It is also a great tool for game designers to leverage to boost their Kickstarter campaigns. Click on the link from the home page or access it directly by going to http://www.kicktraq.com/Hot List/. From there you can filter by the category you are interested in on the left- hand side of the page. How Does the Hot List Work? There is an extensive blog post on the Kicktraq site which outlines how they determine which projects make the Hot List. Here is a brief synopsis though of how Kicktraq decides who is on the Hot List. If you want to rank on the Kicktraq Hot List you need your backers to also be Kicktraq users. Share one of the Kicktraq charts and/or encourage backers users to embed Kicktraq charts for your project on websites for maximum exposure. Share your project’s latest funding status via social media using Kicktraq’s social sharing features. Have backers install the Kicktraq pluginsfor Chrome or Firefox. This embeds one of the charts for each project right on the top of its Kickstarter project page and encourages visits to your Kicktraq project page. 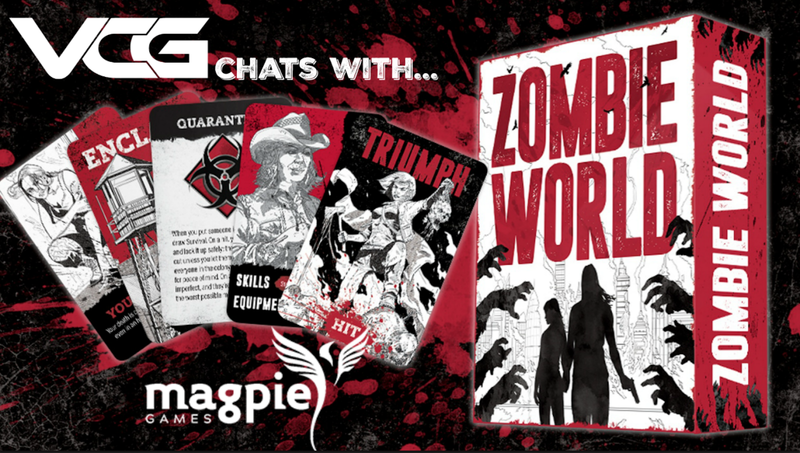 The number of backers and pledges you get from day to day matters as does the momentum your project shows. If you have consistent engagement and sharing you will sustain momentum and up your odds of landing on the Kicktraq Hot List. Kicktraq looks at the quantity of comments on your project when determining Hot List status. You need to make sure you are engaging your backers in the comments section answering questions, generating interest and buzz. You can also drive this to some extent by keeping your project in the news and active in social media. This will encourage new and existing backers who may use Kicktraq to track projects. These things ultimately really combine to one ultimate key to getting on the Kicktraq Hot List - backer engagement. The more engaged and excited your backers are - sharing your projects Kicktraq, commenting on the project etc., the more likely your project will get on the Hot List. If your project gets on the Hot List - and does so consistently - that is a very good sign that your project will get funded and made. This ultimately translates to raving champions for your brand and products. Achieving the Hot List means you are getting your Kickstarter campaign and business right. Join me and Kent Blue from Roll to Play podcast as we chat with the co-founder of Magpie Games Brendan Conway! 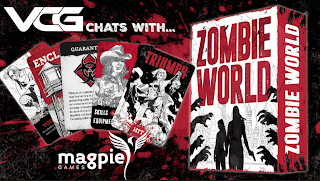 Magpie Games has a Kickstarter for Zombie World, a card based tabletop RPG. VCG UNBOXES TERRAIN CRATE from Mantic Games! 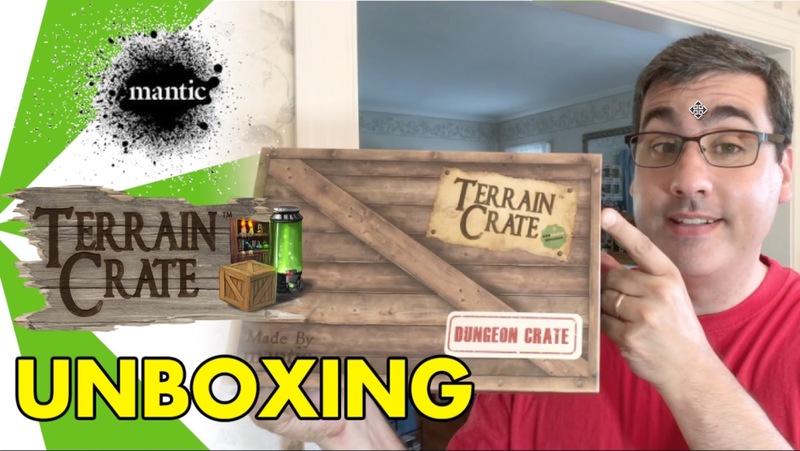 I unboxTerrain Crate the Kickstarter exclusive Dungeon Crate from Mantic Games. Terrain Crate is a line of plastic unpainted terrain for your RPG sessions or table top games. Yesterday I did something over 2 years in the making - I launched a Patreon for the show. If you enjoy and find value in what we provide as a show I'd ask that you consider supporting us. 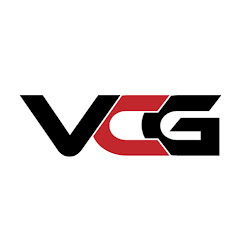 Patreon supporters at $3/mo get invited to the VCG Discord chat where they can find out what's coming up on the show for content and also chat with some of the VCG contributors. At some of the higher levels you can vote on what you'd like to see and interact with the show. I even have a pledge level where you can play in a game on the show! Thank you to everyone that supports in any way they are able.